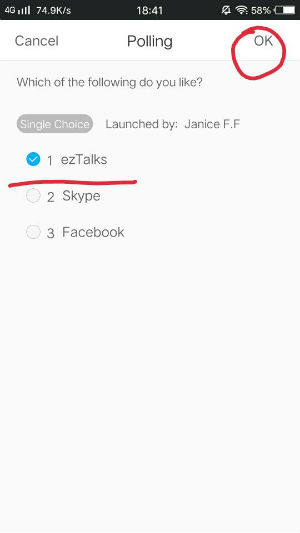 How to launch a poll on ezTalks mobile app? 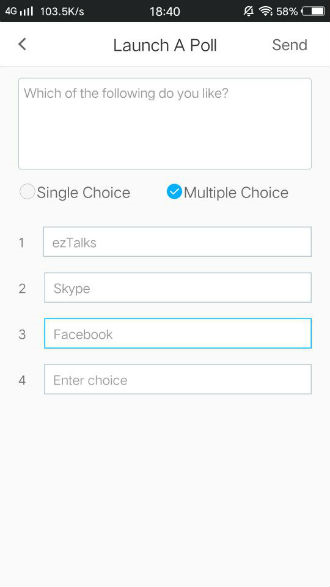 ezTalks allows you to launch a poll on all the devices. Here is the instruction of how to launch a poll on the mobile APP. 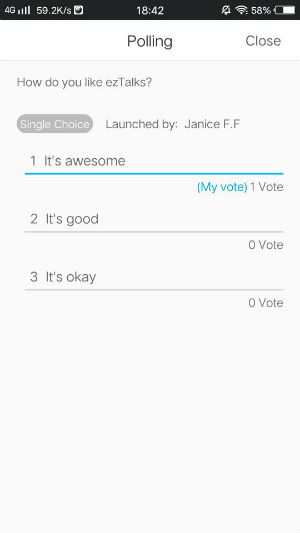 Learn how to launch a poll on the desktop app. Step one Start a meeting on your Andriod or iPhone app. 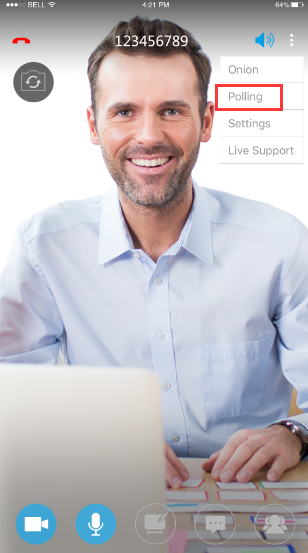 Open the ezTalks app on your mobile device and click on Host a meeting. 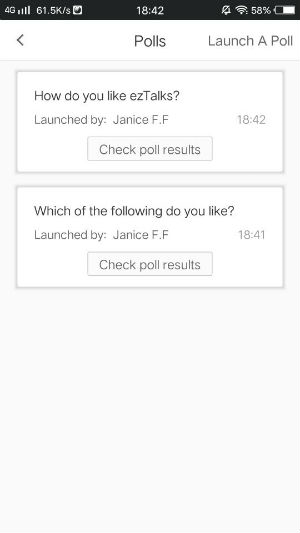 Step three Click on Launch A Poll, and there are two types of questions for polling. The first is single choice where attendees will only be able to select one answer. 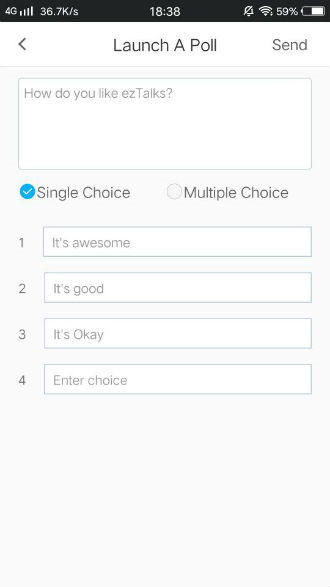 The other is multiple choice, where users will be able to select multiple answers. Step five Then you can check the polling results.